Yes my friends, soup season is back and in full force. I find myself dreaming of soup. The thought of it makes my too cold hands start to warm up. 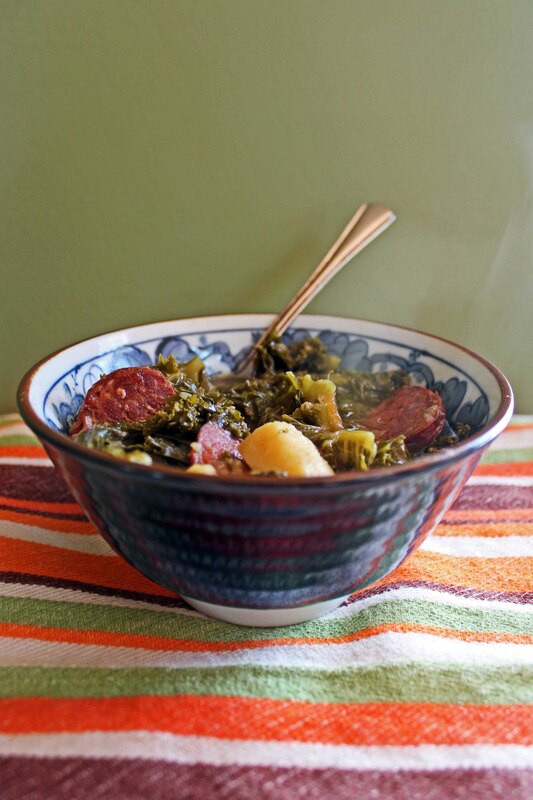 I try suggesting soup for every meal, which is usually a no go since my husband is not a fan. Weirdo. So I make a big batch and I enjoy it myself. His loss. This soup here, this one is a big winner. I’ve made it the past two Sundays in a row and have gobble it all up. I’m contemplating making it three weeks. 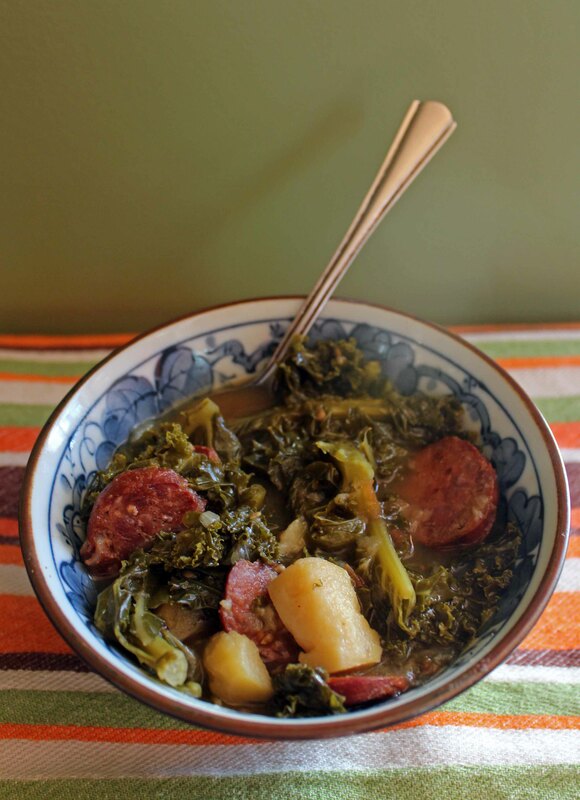 It is so hardy with the kale and potatoes and a bit of heat and spice with the chorizo. 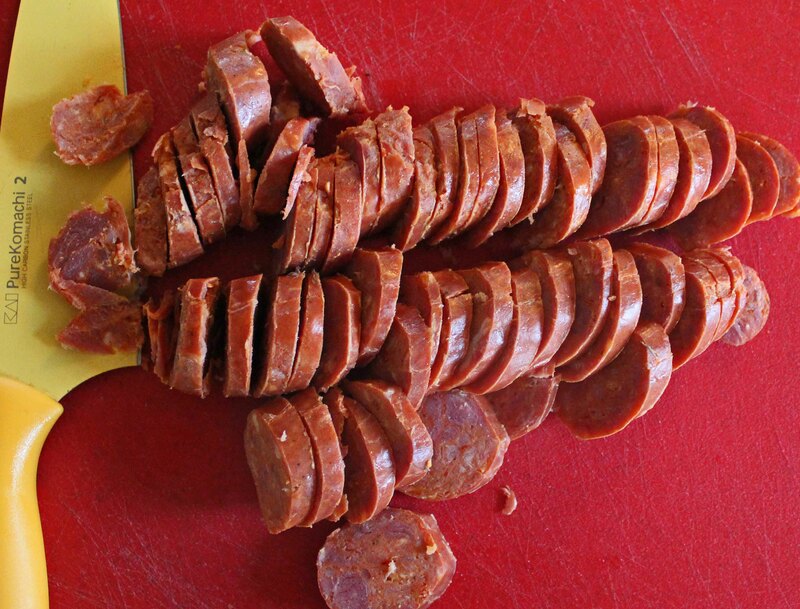 You can use linguica or other sausage of your choice if you would like. I’m not here to tell you what to do but really you do need to make this. Go on, do it you will not be sorry unless you are like my husband and don’t care for soup. In that case sometimes I don’t even understand you. Soup! 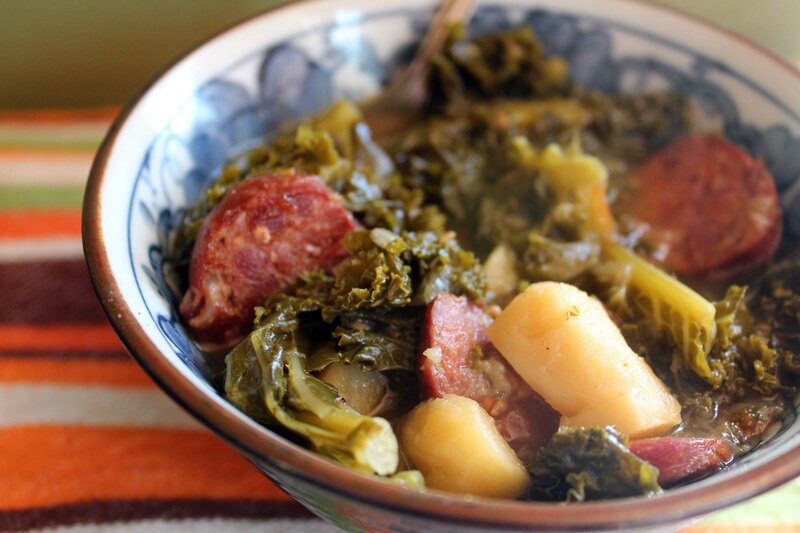 In a large pot over medium-low heat add chorizo and brown. Add the garlic and onions to sausage and cook until onions are softened. Add pepper, garlic powder and celery salt to chorizo and onions and stir. 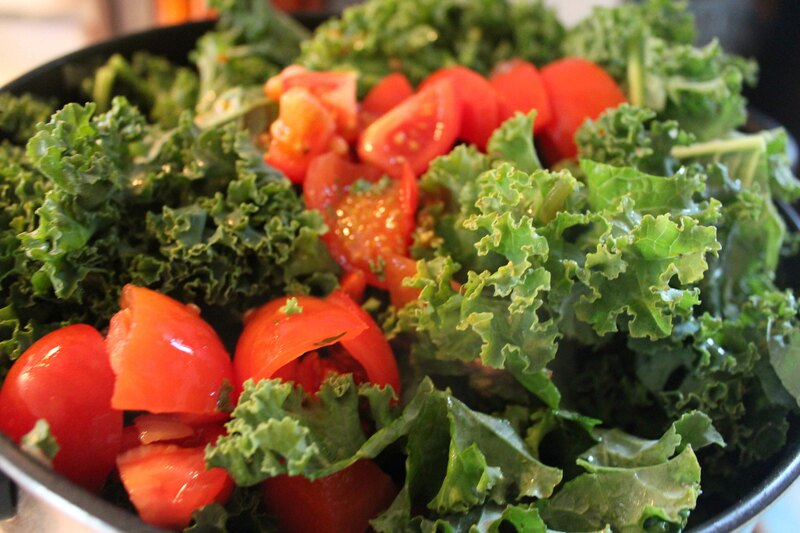 Add potatoes, kale and tomatoes and stir all together. Put a lid on it and stir every few minutes. 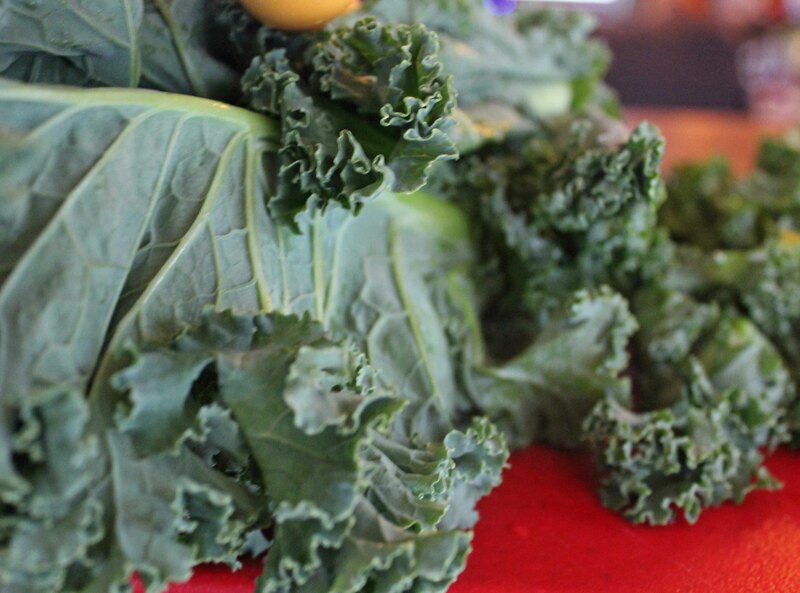 The steam will quickly wilt the kale so it will all fit into the pot. Add the chicken stock and bring to a boil. Once boiling give a good stir, turn the heat to low and let the soup simmer with the lid on for 45 minutes to an hour stirring occasionally. Eat it all up! Feel free to put some parmigiano cheese on top of your servings. Enjoy!